This volume covers the remaining 93 step-by-step daily lessons, completing the a-z in-depth study started in Volume 1. 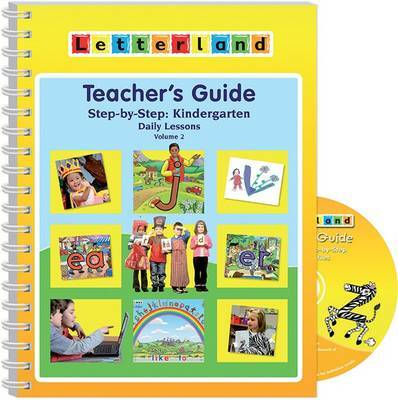 Features word building with Onset and Rimes, Consonant Blends, Long vowels and Magic e. Thanks to the Volume 1 Fast Track and Letterland's story logic, many children will be able to handle the concepts of Vowels 'out walking' and r-controlled vowels also provided. Further Assessments and timely Intervention strategies add to the strength of this program. The accompanying CD provides many teacher-supportive resources, including games and Take-Home Booklets.